Despite the fact that they've hit Ottawa recently, Vancouver collective the New Pornographers still succeeded in drawing a large crowd last night (October 12), bringing out hordes of merrymakers to the 900-seat Bronson Centre for the Thursday night performance. Dressed to impress, Midland, Ontario's Born Ruffians stretched out side-by-side on the front part of the stage, giddily opening the evening with a new track from their upcoming fifth LP. Powered by bassist Mitch Derosier's pogo-style playing, the trio launched into a buoyant rendition of "Don't Live Up" from 2015's RUFF LP that found the now-warmed-up crowd singing along, causing a smile to break out on vocalist/guitarist Luke Lalonde's face. After three new tracks, Born Ruffians ended off their much-too-short 45-minute set with material from their last two LPs, slipping in an inspired (and, according to drummer Steve Hamelin, rare) version of "Little Garçon" from their well-received 2008 debut, Red, Yellow & Blue. Unveiling their sleek, '80s neon/laser aesthetic stage setup, the New Pornographers walked out as a septet, including touring member Simi Stone on vocals and violin. Playing the penultimate show of their sprawling six-month tour, the band launch into "The Jessica Numbers" from Twin Cinema and the title track from this year's Whiteout Conditions, sounding incredibly tight — if a bit too rehearsed and comfortable. Moving through singles "Dancehall Domine," "The Laws Have Changed" and "High Ticket Attractions," it took the band a whopping eight songs to truly let loose on stage, with a performance of the fittingly titled "All the Old Showstoppers" finally getting the crowd (and band members) moving. After vocalist and guitarist Carl Newman addressed the audience for the first time, keyboardist Kathryn Calder showed off her vocal chops by filling in for Neko Case on "This Is the World of the Theatre," while Stone arrestingly gave her own Neko tribute on "Play Money," and Newman joined in with his beefed-up spin on the Dan Bejar-penned "Testament to Youth in Verse." Closing their sprawling 19-song set off with a pair of old favourites, "Use It" from Twin Cinema and the title track from their debut Mass Romantic, the band returned to the stage to rip into a three-song encore that included some of their most high-energy tracks — "The Slow Descent Into Alcoholism," "Brill Bruisers" and "The Bleeding Heart Show" — that found band members dancing, smiling and reacting to the energized and mobile crowd. 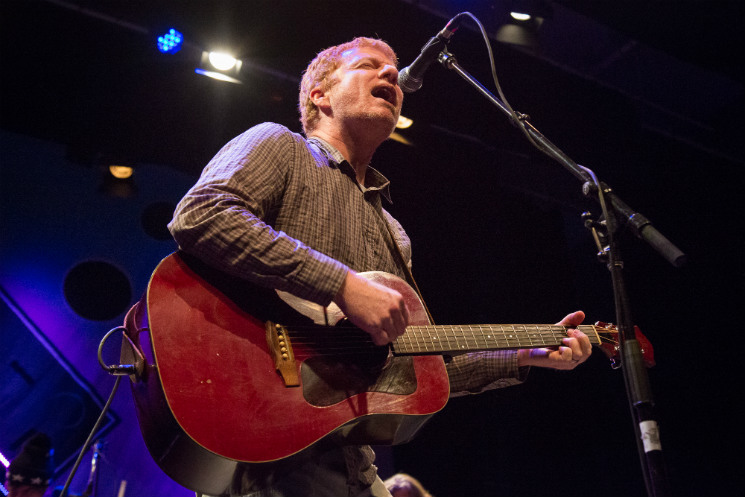 At a Bronson Centre beaming with energy, Ottawa's undying adoration that helped the band out of their early-set slumber, and the New Pornographers returned the love in spades.